How can I save a Favorite Setting on Riverside? With Riverside’s on-board Favorite switch, you can save and recall a single Favorite preset setting to provide two different settings you can toggle at any time. First, dial in the settings you would like to store as your favorite preset with the knobs and switches of the pedal. The Favorite preset will also save the setting of the NOISE REDUCTION on Riverside so you can have independent noise gates for both the Favorite and manual settings of the pedal. Once you have the pedal set the way you like, press and hold down the FAVORITE footswitch for about 3 seconds to store the setting. Your Favorite setting will be stored for all future power ups until you save a new Favorite following the steps above. How should I set the Presence switch on Riverside? Riverside’s PRESENCE switch tailors the highest frequencies of the pedal’s output signal for connecting to a wide variety of amplifiers with different tone characteristics. The minus (-) position, provides clarity with a controlled top end that works well with many amps that have a brighter voice or extended top end character. The enhanced (center) position extends the top end to allow for more sizzle on high gain tones. This works well with amps that have a warmer voicing, or if you want enhanced detail in the uppermost frequencies. When plugging directly into a power amp, or into the effects return of an amplifier, the plus (+) position further increases high end detail that may be required. The plus (+) position will also deliver extended high end detail to the darkest amps. How can I set Riverside's noise reduction? Press and hold the ON footswitch for a few seconds until the LEDs blink. Turning DRIVE past 12 o’clock increases the Noise Reduction threshold for louder and noisier setups. The FAVORITE LED will change from AMBER to RED to indicate the increased Noise Reduction threshold level. Press the ON footswitch to store the new Noise Reduction setting to the Riverside. NOTE: The Noise Reduction setting can be saved independently for the Favorite preset and manual settings on Riverside. To do this, set the Noise Reduction level before saving your Favorite preset. Once your Favorite preset has been saved, change the Noise Reduction setting to work with your manual setting. How do I change the Bypass Mode on Riverside? Riverside can be set to operate in either True Bypass (electro-mechanical relay) or Buffered Bypass modes. Setting Riverside to buffered bypass mode preserves the high frequency response of your guitar signal through your pedal chain and long cable runs. You can also use the external Boost switch and Volume pedal modes even if Riverside is bypassed when set to Buffered Bypass mode. At power up, press and hold the ON footswitch while plugging in the power to Riverside. Both the FAVORITE and ON LEDs will blink. Release the footswitch and turn the LEVEL knob to the LEFT (GREEN LED) for True Bypass or turn the knob to the RIGHT (RED LED) for Buffered Bypass. Once the Bypass mode has been set, press the ON or FAVORITE footswitches to save this setting and begin using the Riverside. The Bypass mode is saved for all future power-ups until it is changed again following the same steps. How can I use an expression pedal to control Riverside? You can use a TRS expression pedal to control as many of Riverside’s knobs as you like, in any direction, throughout their range. First, connect your expression pedal to the EXP jack on Riverside with a TRS cable. At power up, press and hold the FAVORITE footswitch while plugging in the power to Riverside and both the FAVORITE and ON LEDs will blink. Release the footswitch and turn the LEVEL knob to the LEFT of the knob range so that the ON LED lights up GREEN. Press the FAVORITE or ON footswitches to store this setting and use Riverside. Once Riverside is powered up, press and hold down both FAVORITE and ON footswitches for a few seconds until both LEDs begin blinking green. Rock the expression pedal back to the HEEL down position and only the FAVORITE LED will be blinking. Set the knobs the way you would like them to be in the HEEL down position of the expression pedal. The FAVORITE LED will turn red to indicate that the setting has been adjusted. Rock the expression pedal forward to the TOE down position and only the ON LED will be blinking. Set the knobs you would like to control to the setting for the TOE down position of the expression pedal. The ON LED will turn red to indicate that the setting has been adjusted. Press the FAVORITE or ON footswitch once to save the expression settings. NOTE: Expression pedal settings are global and will affect both the Favorite preset and manual settings on the Riverside. How can I use Riverside's Volume Mode? You can control the overall output volume of Riverside with a connected expression pedal by setting the pedal to Volume Mode. In this mode, the expression pedal will control the volume with a logarithmic audio taper for smooth control over the output signal. First, connect your expression pedal to the EXP jack of Riverside with a TRS cable. To set the EXP jack to operate in Volume mode, press and hold the FAVORITE footswitch at power up while plugging in the power to Riverside. Both the FAVORITE and ON LEDs will start blinking. Release the footswitch and turn the LEVEL knob to the 12 o’clock position. Press the ON or FAVORITE footswitches to store this setting and use Riverside. In Volume mode, the LEVEL knob sets the highest volume level for the TOE down position of the expression pedal. Also, the highest TOE down position of the expression pedal will correspond to the setting that the LEVEL knob was saved to for the Favorite setting. NOTE: A connected expression pedal will still control the volume output even when Riverside is bypassed if the pedal is set to buffered bypass mode. Does Riverside work for bass guitar? Yes! Riverside has no low frequency roll-off and works well with other instruments including bass guitar. Use the DRIVE and BASS controls to tailor the low end of your sound to use with bass guitar and other instruments. How can I control Riverside with MIDI? ***In order to control Riverside with MIDI, it must have firmware version 1.22 or later. An easy way to check if your Riverside is running version 1.20 or newer firmware is to try setting the MIDI Expression functionality. When Riverside is already powered up, press and hold down the ON footswitch until the LEDs begin to blink. Release the footswitch and turn the TREBLE knob back and forth. If you are running version 1.0 firmware, the color of the ON LED will NOT change when you turn the TREBLE knob. To update Riverside, please download the Strymon Update software. Once you have connected Riverside to a MIDI source, you must set the EXP jack to MIDI mode. Press and hold the FAVORITE footswitch while connecting the pedal to power. When the LEDs stop blinking, release the footswitch and turn the LEVEL knob clockwise until the B LED turns BLUE. Press either footswitch to store the EXP jack assignment. Next, you will need to select a MIDI channel to communicate with Riverside. Riverside is set to MIDI channel 1 by default. Press and hold the ON footswitch while connecting the pedal to power. When the LEDs stop blinking, release the footswitch and turn the DRIVE knob to set the MIDI channel. The FAVORITE LED will change color as the MIDI Channel is changed. This setting requires a 1/4″ MIDI connection to set. Once the LED turns BLUE, it will blink until the pedal receives a MIDI Program Change message. Once a MIDI PC message is received, the pedal will be set to the MIDI channel that the message was sent through and the LED will stop blinking. When the LEDs stop blinking, release the footswitch and turn the MIDDLE knob to select what kind of MIDI data is sent from Riverside to other MIDI devices. Both LEDs will flash a color momentarily as the mode is changed. GREEN – ON – Using Riverside’s knobs and switches generates MIDI messages that are sent out of Riverside. AMBER – THROUGH – Incoming MIDI messages are sent out without any additional MIDI messages generated by Riverside. RED – OFF (default) – No MIDI messages are sent out of Riverside. When set to MIDI mode, the currently loaded settings can be saved to any of Riverside’s 300 preset locations at any time. To enter SAVE mode, press and hold the FAVORITE footswitch. The FAVORITE LED will start blinking BLUE. Send a MIDI Program Change message from your connected MIDI device to Riverside. The LED will stop flashing and Riverside will save the settings to that preset location. To save a preset to the currently loaded preset location, simply press the A footswitch once again while the LED is flashing. To recall presets on Riverside, send the pedal a MIDI Program Change message on the same channel the pedal is set to that corresponds to the desired preset you would like to recall. The FAVORITE LED will light up AMBER to indicate a MIDI preset is selected. Riverside always powers up in MIDI Patch Bank 0, so if you plan to stay within the first 127 presets, simply send a standard MIDI Program Change message to load a preset. If you will be using MIDI Banks 1 and/or 2, it is advisable to send a standard MIDI Bank Change message (MIDI CC# 0 with a value equal to the MIDI Bank#) before each MIDI Program Change. Selecting bank 0, patch 0 will recall Riverside’s on-board Favorite preset (RED FAVORITE LED)which can also be accessed with the on-board FAVORITE switch on the pedal. Selecting bank 0, patch 127 will put Riverside into Manual mode (FAVORITE LED OFF). In this mode, the pedal will be set to the current knob and switch settings. No preset data can be stored at this preset location. How do Strymon pedals send/receive MIDI messages sent via 1/4" TRS MIDI cable? On our pedals equipped with a 1/4″ TRS MIDI connection (Riverside and Sunset), the MIDI data is received by the pedals from the TIP of this connection. When MIDI OUT or THROUGH is enabled on these pedals, the MIDI data is sent out of the pedal from the RING of the TRS connection. What are the factory settings on Riverside? EXP Input Jack: Assigned to work in VOLUME PEDAL mode. Expression Pedal Mode Assignment: Assigned to control DRIVE. BOOST Input Jack: Assigned to work in BOOST SWITCH mode. BOOST Amount: Set to 50%. These settings can be restored manually or by performing a Factory Reset. How do I perform a factory reset on Riverside? You can restore all of the modes and functions on Riverside back to factory settings by performing a Factory Reset. Release the footswitch and turn the DRIVE knob from 0-100% two (2) times. The FAVORITE LED will change to AMBER at the extremes of the knob range and finally blink RED to indicate that the reset is taking place. Once the FAVORITE LED stops blinking RED, the reset is complete and Riverside is ready for use. How do I update the firmware on Riverside and Sunset? To update the firmware on Riverside and Sunset, you will need a micro-USB cable to connect your pedal to a USB port on a computer. The micro-USB port is located inside the chassis of the pedal by removing the bottom plate. Once the bottom plate is removed, the micro-USB port is found on the left side of the pedal. Once your pedal is connected to your computer and powered up with a power supply, you will need to download and install the Strymon Update software to perform the update on your pedal. 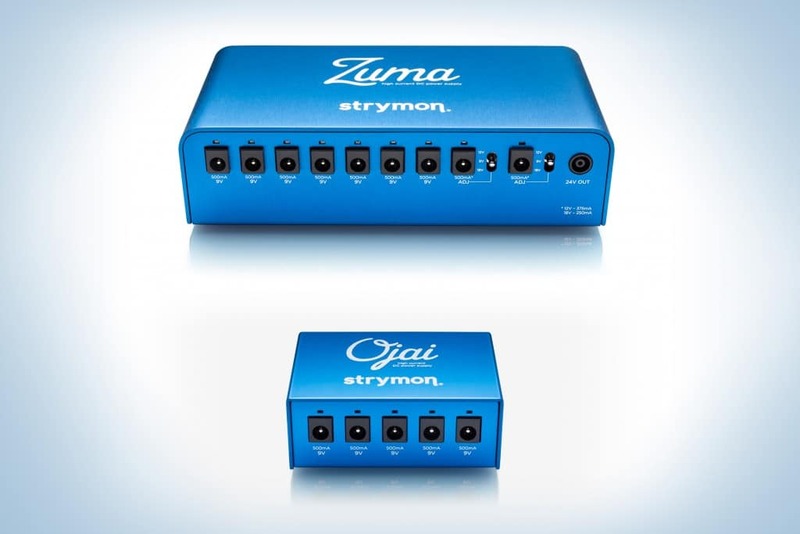 With the Strymon Update software installed on your computer, run the application with your powered pedal connected to your computer via USB. The Strymon Update software will automatically detect your connected pedal and show you the currently installed firmware version. Click the ‘Check for Updates’ button for the software to check if there is an update available for your device. If an update is available, click on the ‘Install Update’ button to perform the update. Once completed, the ‘installed version’ will match the ‘latest available’ to show that your device is up to date. Disconnect the pedal from your computer and power source to re-install the bottom cover. Your pedal is now ready for use. We always work hard to improve the experience our customers have with our products. The release notes below list the changes and new features we’ve added to Riverside. Download the Strymon Update software to update the firmware on your Riverside pedal. Added MIDI mode to the EXP jack power-up procedure for full MIDI implementation via the 1/4″ TRS EXP jack with access to 300 presets via MIDI Program Change messages and full parameter control via MIDI CC messages. Added Expression pedal mode and Volume pedal mode options to the BOOST jack power-up procedure. Added MIDI Expression ON/OFF secondary parameter to the Live Edit options to determine which presets will respond to MIDI Expression CC# 100.